– We help to professionally design a clean logo to best represent your business for $49.99 & Up. A logo — a small symbol or design used in business marketing — is usually one of the first visual symbols a company develops in the early stages of planning. It often follows the naming of the business and coincides with the development of a company motto or slogan and other visual representations. Having an effective logo can benefit your company. A logo gives your company an easily recognized visual symbol. By placing this image on all correspondence materials, marketing collateral, your website and emails, you give people consistent exposure to your brand. The more people are exposed to your logo, the more synonymous the logo becomes with your name and brand. This allows you to put your logo on promotional materials and even products as a stand-alone representation of your business when your name won’t fit or doesn’t look as good. Well-conceived and -designed logos can be instrumental in building and maintaining a certain image of your brand. Some logos, such as the Nike “Swoosh,” become so recognizable that people see them and understand the meaning of the brand just from the logo. While achieving that level of iconic status is difficult for a small business, a creative and visually appealing logo can attract people to your advertising messages. If your company brand emphasizes cool, hip and trendy, a logo with a sleek and edgy design has a natural correlation to these qualities. – We help local businesses get found by customers on the Internet in their area by getting them properly listed locally on local listing sites such as Google Plus for $14.99 and up. Speeds up search engine optimization results. Generates genuine sales for your business. Spreads out the business income potential. – We provide experienced Internet marketing (Search Engine Marketing/SEM and Search Engine Optimization/SEO) to help your local, national, services and/or product based e-commerce business achieve higher organic placements on a variety of search engines’ page results. – Our Internet Marketing services include SEO, social media marketing, newsletter marketing, and other methods. Our Internet marketing is different from some in that we charge an affordable amount for the initial setup of your Internet marketing campaign and for any subsequent marketing work with different tiered plans available to meet different budget needs. – We provide PPC advertising consulting and services for Google Adwords, Microsoft Adcenter, Shopzilla, StumbleUpon, Affiliate Marketing, and more. – We help you set up your newsletter campaign to help you stay in touch with your existing customers and bring in repeat business. 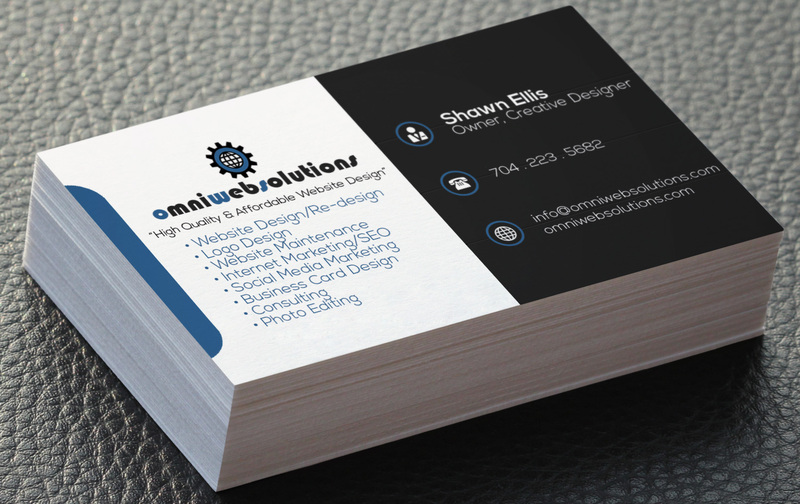 – We design professional business cards to help make your business brand stand out. – We take your existing photos of products and transform them into product images with white backgrounds which are acceptable for use on Amazon, Ebay, and other webstores. – We can take old, torn, photographs and restore them to look beautiful again.